Thanks to Sharon Sheppard and Jane Hoffman, an extensive tour of the new facility at KGH was set up for our office. We had so many interested REALTORS® we had to set up two separate tours. Our hosts were Natalie Walstrom, Senior Development Manager and Doug Rankmore, Chief Executive Officer of the KGH Foundation. The history of the property was very interesting. The Kelowna General Hospital (KGH) is in the Okanagan health service area and is one of two Interior Health tertiary referral hospitals. KGH offers high-level, specialty medical care including 24 hour emergency and trauma services, ambulatory and outpatient clinics, and diagnostic or paramedical services. Specialty services include adult and adolescent psychiatry, outpatient nutrition, and patient care quality officers. Additionally, the Province of British Columbia has identified Kelowna General Hospital as one of five sites in BC for upgraded cardiac services, including angioplasty done since 2010 and cardiac surgery since 2012. In 2011, Kelowna General Hospital treated 60,000 in Emergency and 55,000 in Ambulatory Care, completed 32,000 surgeries and admitted 20,000 inpatients, while delivering 1,600 babies. Since its inception in 1978, the KGH Foundation has generated over $57 million in revenues and has granted more than $38 million to Kelowna General Hospital and other health facilities in the Central Okanagan. In its first year, the Foundation received $11,560 in donations – it now holds over $11 million in donor designated and endowed assets. There are four major projects filling more than 622,000 square feet of space. Nearly $703 million in investments. Just One of the anesthetist machine cost $95,000 and they need 18 of them. These numbers describe the major expansion going on at KGH—the Centennial Tower, including the heli pad, the Clinical Support Building, the UBC Clinical Academic Campus, and the Interior Heart and Surgical Centre (IHSC). For starters it means a major increase in space. To give you an idea of how much space this is, imagine a typical Walmart, Home Depot, Rona, Golf Town and Costco and add them together. That is how much new floor space is being added at KGH. What are the benefits for residents? It’s a long list including such things as a new ophthalmology department, five new operating rooms, as well as a new and expanded renal department with 18 dialysis stations. Here are some other benefits to help put all the expansion at KGH in perspective. The greatly expanded emergency department will be four times the size of the current one. Two fully-equipped trauma bays are larger than the current space, with a third is now outfitted. The tour was going to show us that but they were all being used. Another benefit will be the highest level of medical care ever seen in the Interior now that IHSC is open. The IHSC is an integrated critical care facility giving about 1,600 cardiac patients a year, top-notch care close to home. This will also greatly reduce stress on loved ones. The state-of-the-art surgical centre helps with the recruitment and retention of highly qualified professionals. Camera feeds allow the surgeons and nurses to view microscopically if necessary. They can also have outside feeds to other specialists or for educational purposes. Absolutely amazing – we felt like we were in a TV drama. The cardiac transition plan is already underway with angioplasty procedures being performed in the Strathcona Building at KGH – but we saw the new facility they are preparing to move to shortly. Another benefit will be the training of new doctors right here in Kelowna. The UBC Clinical Academic Campus at KGH is now complete and students are enrolled. This is the fourth campus of UBC’s Faculty of Medicine. Now, students from Kelowna and throughout the Okanagan can study medicine closer to home. It also means students from other parts of British Columbia, other provinces and other countries will discover the Okanagan while studying here. Let’s hope many of them will want to stay here and practice medicine after they graduate. We are such a blessed community and so many more lives are saved because of the access we have to this state of art facility. When the going gets "Tough"...just call me. Prior to getting into real estate I worked for 6 years as the Manager for the Construction Association in Yellowknife calling on contractors and suppliers. Some of the companies were dilapidated outfits working with a small community mind set where they could never hope to grow their business. I recall saying to the Executive Director that we should not be recruiting members from these hopeless situations because they will not participate in the betterment of the membership or likely keep up with their dues. Not because they were bad people – they weren't, but because they will feed their families first and worry about their corporate responsibilities second. We did it anyway and they did go broke and they did leave debt behind them. The same holds true of so many real estate Brokers. Hire as many bodies as possible. If the odd one makes it, good! For the others, too bad! As their pangs of hunger set in, scruples fall by the wayside. Ethics fly out the window. The ethical, competent and altruistic REALTOR®s and our entire industry suffer by association. I remind our REALTOR®s often – you will be painted with the same brush as your colleagues – so let’s help keep each other in-line. 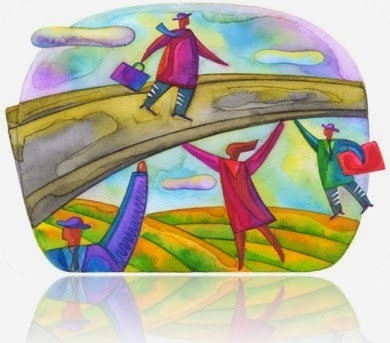 As agents pre-qualify purchasers, so should Brokers pre-qualify potential new hires. There is more than adequate information available on the Internet and elsewhere about sensible hiring and better employee retention. Take some time to actually research who you are going to meet with. I’m often shocked at the silence on the other end of the phone when I ask a potential recruit for a current resume prior to our meeting. Until our indifferent hiring practices are eliminated we will struggle to raise the measure of professionalism into our industry. A recent article in The Canadian Medical Association Journal was brought to my attention. It asks, “Can professionalism be taught?” to which it answers, “Probably not.” The article says many things that provide advantages in life cannot be taught – competitiveness, intelligence, curiosity, creativity, persistence. We would pose the same question to real estate educators, brokers and sales agents. Many of the consequential qualities of professionalism go far beyond practical know-how, listing, selling, leasing and all that goes with it. These virtues cannot be gleaned from books or attending lectures. No instructor can teach altruism. The individual must be a good person of high moral character to start with. It is given that the teaching of ethics starts in the cradle and advances with age – on a continuous path paved with experience and consequence. The intention of the REALTOR® Code of Ethics, which is similar in many associations across North America, is intended to ensure that REALTOR®s are treating their clients and their colleagues with respect, fairness and honesty. The codes are enforceable and violation of any of them garners the harshest of consequences...we hope. The penalties, not only those levied by our own associations but by the courts of the land, don’t have any teeth. The public is seldom advised about the misdeeds of the unethical. REALTOR®s rarely, if ever, squeal on each other, often because nothing happens, it’s just not worth the bother to report a violation or because of the risk of being seen as a squealer. Those caught with their hands in the cookie jar will do it again, but next time will be more careful not to get caught. I think we forget that we are members of a self-regulating industry that holds itself out to maintaining high standards and practices of conduct. We set our own standards and define the behavior that defines our professionalism. 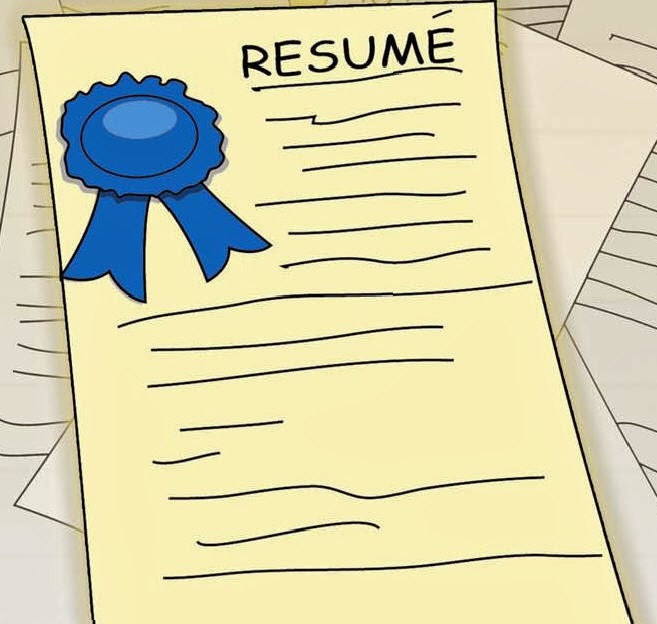 However, attending an ethics lecture, taking continuing education courses, keeping your license current and paying dues does not make you a professional anything. What’s the bottom line? 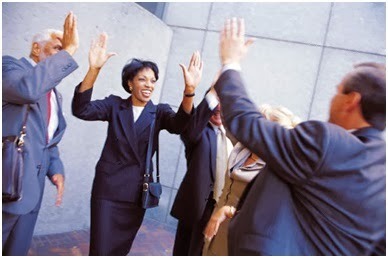 Most professional organizations are of the opinion that professionalism can in fact be taught. This is not in a classroom and not by role modeling alone, although both help. It should be mostly by observation and the example set by Brokers and the industry as a whole following the guideline of “The Golden Rule” and the example set by their professional and ethical peers. Ethics will only win out when there is a transition by all REALTOR®s to become active learners and recognize that the actions of any individual REALTOR®, both positive and negative, reflect on the public’s perception of ALL members of the real estate industry. I think it begins with the hiring practices of so many Brokers, the “fill the desks with breathing bodies” syndrome. As the failures of the new recruits become more evident, professionalism does not play an important role. Until REALTOR®s choose to trade greed for improved ethics, these problems will never be solved. We must recommit to traditional values. It will not be by having more classroom exercises or preaching the gospel of ethical behavior, but by upholding the values of a profession and to quote the medical doctors, “Do no harm”. This will be by not just giving lip service to professionalism but by placing the interests of our clients, and our colleagues’ front and centre. 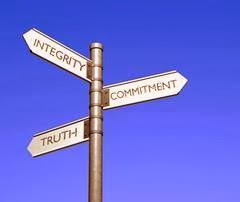 Integrity as illustrated through ethical and professionally responsible practice and conduct, competence and expertise. Pride in your chosen profession and the contribution it makes to society. Civility to clients, prospects, colleagues, associates and competitors. The provision of service for the public good through client relationships and responsibilities. Commercialism balanced with a livelihood and service. Substantial training and experience buoyed by continuing education. Where do we go from here? Where will we be in five years, 10, 20? What will it mean to be a “professional REALTOR®”? You tell me. There is nothing like the ending of a year and the beginning of a fresh new year to invite the motivation to better yourself: To achieve something greater, to make a positive change in your life or the lives of others. A New Year’s Resolution is a time honored tradition of setting a goal for yourself. To help you achieve your goals and to make those positive changes, the following tips and tricks are available to guide you to success. Take more time for yourself. Choosing what you want to better in yourself or in your life is a tough choice. It’s easy to get carried away, but too much change too fast isn't good and can quickly become overwhelming. For best results, pick one or two resolutions that you would really like to accomplish. This will help you manage your goals and track you successes. Don’t sabotage yourself right out of the gate by setting unrealistic goals. Examine how you wish to achieve your goal. By outlining how you can achieve your resolution you reinforce your commitment and assure that it is realistically achievable. This practice will also help you identify any challenges and pitfalls you may encounter, while giving you an opportunity to plan how you will overcome them beforehand. Be clear what you what to achieve and what small steps will get you to your goal. By creating a series of smaller tasks, you take what may be seen like an overwhelming larger objective and create more easily obtainable mini-goals. Utilize your supports. If you have a friend who has a similar goal, work towards your goal together with mutual support. Potentially a professional service may also be available to facilitate your success. Be it a book, a website, a course or a support group; whatever you are most comfortable with will increase your success dramatically. When we connect with others we strengthen our resolve. Be aware of those with whom you share your bad habits or environments that prevent your success. Stay away from these challenging situations by changing your usual routine. One of the best ways to break bad habits is to replace them with good ones. It’s a fast pace world and it’s very easy to get off track. Be flexible when pursuing your goal to help you adapt to inevitable changes. Prepare for roadblocks and accept that it’s okay to stumble in pursuit of your objective. Just remember why you decided on your goal. Follow the steps you set out for yourself and rely on your supports. Visualize your goal and your motivation and you will succeed in your resolution in the New Year. Who Cleans for the New Owner? Whose responsibility is it to ensure a SOLD home is found in a clean and clear manner for a new Buyer? As a Buyer of a new to you property, have you ever spent an extra day cleaning and scrubbing your home after all your belongings are moved out, leaving your SOLD home pristine for its new occupants, only to find you have two days of work and cost to clean your new purchase before you would ever consider moving in your belongings? The seller may agree to the term at the time of the offer – and yet not get it done for completion. Perhaps they ran out of time, the moving truck was delayed, cancelled or they were not prepared for the amount of work to be done once their furniture was actually moved out of the way. Perhaps they rented a steam cleaner from the grocery store and did it themselves at midnight the night before completion, leaving carpets soaking wet – delaying the Buyers ability to move in immediately when they take possession. It’s important to remember that everyone measures “satisfactory” levels of cleanliness differently. It helps to have the work done by an independent professional who will have a consistent standard met. If hiring out is not affordable, some Sellers may choose to do the work themselves. The Seller’s REALTOR® needs to provide them with the reasonable expectations of the industry – and not allow them to pass their own judgement on what is acceptable or not. There is an expectation in our market area that the appliances will be cleaned, carpets vacuumed, floors washed, bathrooms and light fixtures cleaned (hopefully NOT stripped of all the light bulbs), windows clean, garbage gone (This is a big one). Most Buyers will still want to do a thorough vacuum ,wipe down of fixtures, switches, and cabinet interiors, to ensure they are not moving in with someone else’s germs, but they should not have to start from scratch. Can REALTORS® do anything else other than inserting the ‘cleaning’ clause in the contract to ensure their buyers don’t walk into disaster? YES! REALTORS® need to educate their Sellers to the industry expectation. Help the seller to realize how they will feel if they walk into a mess in their new purchase. A listing REALTOR® should visit their sellers at the property regularly (not just phone them) throughout the two weeks prior to completion. Most REALTORS® can recommend support services like Junk Removal companies, movers and cleaners. Some Sellers move out days or weeks prior to completion so a yard maintenance company may be necessary to keep the yard in proper condition prior to completion. The Buyer’s REALTOR® can certainly drive by the property periodically to see if there are signs of activity towards a move happening. Check with the listing REALTOR® to express concern if garbage or items on the property don’t seem to be diminishing as completion day approaches. Request a walk though the property with the Listing REALTOR® a few days prior to completion. A good REALTOR® knows their job is not done when the subjects come off. The period of time between subject removal and completion is critical for both sides. It’s sad how quickly all the hard work a Buyer’s Agent has done can be forgotten when their Buyer walks into a mess. Senior seller, not moved, not packed, and no plan for where she would go. Our buyers had the anxiety of not only having to find temporary accommodations but were left with the feeling of putting a sweet old lady out on the street. What an awful way to start a life in your new home. Buyers bought a property where they fell in love with the yard. Sellers moved 6 weeks early in the heat of the summer. What do you think the yard looked like with no care or water by the end of July? Garbage left piled in the garage – rodents decided it was a great place to settle in. Seller moved and packed and gone but left unwanted furniture, broken appliances and other debris that mounted up to three “Got Junk” truck loads at $200 a load plus cleaning. The contract included all the new stainless steel appliances. The buyers moved in to find second hand mismatched units. A winter close turned disaster as the seller moved out a month prior and turned off utilities (heat included) – Frozen pipes and water damage resulted. REALTORS® can’t control what their sellers do but they can take an active part in walking them through the process...the expectations...get family members or outside services involved early if there appears to be issues of ability and relocation. A Buyer’s REALTOR® can’t affect the seller’s actions but they can stay in communication with their colleague. If there are any circumstances that they can anticipate ahead of time that will need special attention, the Buyer can be made aware and not blindsided on move-in day. The Buyer’s REALTOR® can be ready with information on support services and try to negotiate costs with the Seller through the Seller’s REALTOR®. In my opinion – a REALTOR® who responds to difficult possession issues with “Let the lawyers fight it out” is not doing their job. A Buyer’s avenue of remedy when a Seller does not fulfill their obligations under the contract is small claims court – find the seller – serve them and try to collect. As professional REALTORS®, anything you can do to avoid that path should be taken and often, paying attention, communication between REALTORS® and preparation of both Seller and Buyer is all that is needed. Our seller’s REALTOR® and the Buyer’s REALTOR® – packing boxes and cleaning until midnight the day prior to possession to help the senior with the last of the overwhelming task she had been faced with. Day of possession the Buyer’s REALTOR® up on the counter, wiping out cupboards to be ready for her clients dishes – right after she ordered pizza to feed the friends that had come to help with the move in. Seller’s REALTOR® sent their son over to give the yard that one last cut and tidy. Seller away prior to completion so they left funds for their REALTOR® to hire a cleaner. REALTOR® stored the last of the personal belongs for her seller until she returned months later. Do you have some good (or bad) stories to share? What’s your opinion on who should be held accountable? Why I need a REALTOR® and How to Choose one? This should speak to both you as a Buyer or Seller and the real estate Agents out there. 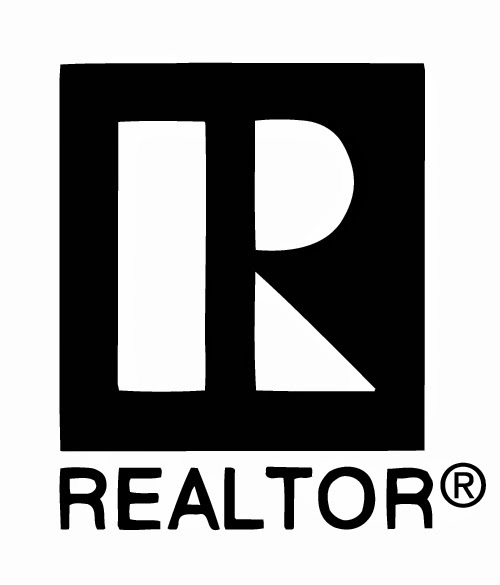 From time to time I search out feedback from the industry, like NAR (National Association of REALTORS®), CREA (The Canadian Real Estate Association), focus groups, consumer advocates and the like, asking what people are looking for in a REALTOR®, why they should use a REALTOR®. I also ask our REALTORS® what they do on a regular basis to ensure they continue to serve their clients successfully. What is very interesting to me is how similar the lists are. 1. I want an agent that works full time. Full service means the agent is working for me. Full time agents are better prepared to resolve problems, ensure current market influences are considered and that influences from changes in the industry considered. 1. Get up and go to work every day- and be Seen! Stay on top of continued education statistical reviews and market changes. I need to budget time to work ON my business, not just IN it. 2. I want a tech-savvy agent. Most home transactions today begin on the Internet. 2. I regularly search my listings on the net to be sure search engines are finding my inventory. I send those results and ad copies out to the sellers and buyers looking for that type of property. I Ensure my Buyers wish lists are set up in automated searches so we have instant knowledge when new properties hit the market. In this day and age, people expect information the moment that it becomes available. 3. I want an agent with passion, enthusiasm and dedication. This is the agent, who goes the extra mile to get the best results, even when the going gets tough. Ask “how will you communicate with me?”. 3. I care enough to Communicate with the client in the manner they wish – through social media, phone, email or in person, on a regular basis. My clients want to be involved and informed. Regular communication can help me build a relationship and know their life goals, passions and needs so I can guide them towards the perfect home for their chosen life style. 4. Get an agent that is market savvy. I like getting sales in a given neighbourhood. They reveal geographic market smarts that can save me money. Knowledge is the key. 4. I consistently review CMA’s for the areas of my inventory. Open House Open House Open House – exposes the inventory but also ensures I’m up to date on Market values and neighbourhood trends. 5. Get an agent who is creative. Look for someone who can write purchase offers that excite a seller and satisfy the buyer. ASK How will you market my home? 5. I believe professional photos or videos are very important – On a regular basis I blog, tweet and facebook my inventory out to reach a wide demographic. I share industry newsletters and trends so my clients are well informed. 6. Get a team player. A real estate agent with a network of professionals at his disposal can take the screws out of finding a good handyman, insurance agent, mortgage broker, home inspector or a variety of other home buying and owning professionals I will need. Can they lead me through the whole process? 6. It’s important I share information on the process and community – not just sell a house. I have cultivated professionals in all the support services required for clients in order to help them have a smooth transition into their new neighbourhood. 7. Get a well-respected agent. Other agents make deals with agents they respect, trust and with whom they enjoy working. 7. I network with colleagues on a daily basis and enjoy being involved in community and charitable fund raising events. 8. Get the scoop on your agent. References! Ask to speak to past and present clients and ask to review multiple listing service® (MLS®) reports of his or her sales. 8. After every transaction, my office sends out a Customer Satisfaction Survey for my clients to complete – confidentially if they choose. It gives my Broker the opportunity, as well as me – to ensure I am providing the services to the caliber my clients require. The feedback is always helpful and appreciated. I share those reports from past clients with future ones. 9. Find an experienced agent – how many clients are they currently working with? An experienced Agent will know the right questions to ask regarding the home, neighbourhood, financing, etc. They have strong relationships with lenders they trust. ASK how they get paid. 9. With every client I review Agency, my obligations and duties to them and the process of the transaction to come – We discuss my extended support services and my compensation so they understand how our relationships gets me paid. 10. I need an agent I can trust. Tell me the truth about my home – offer valued guidance and help me measure value, location and my affordability. 10. I’m not a salesman – I’m a trusted adviser and facilitator. Arming myself with constant inventory knowledge, community trends and economics all come into play as I build trusted relationships with my clients. I work toward earning their referred business of family and friends. The following information is offered through CREA – the Canadian Real Estate Association. Does your REALTOR® Have the answers to these in their personal brochure or profile? 9. What if I'm unhappy with the service? 10. What haven't I asked you that I need to know? Good for you and your REALTOR® to know! Traditionally an addendum is used as an additional page to the printed contract pages of an contract of purchase and sale for any conditions, terms, inclusions, etc that need to be included as a part of the negotiated transaction. Once a contract is accepted – any changes or additions to the terms or agreement are to be done on an amendment – it is changing/amending the already accepted offer. Putting additional information or terms into a contract BEFORE it’s accepted is much different than making changes or additions to a contract AFTER it has been accepted. – what is the ‘consideration’ for this new agreement – thus the amendment form addresses that with “For good and valuable consideration”. You should add, “The Buyer and Seller agree” , then enter your changes “from…. To ….” Or add any additional information the parties wish to have included. ALSO – it’s imperative that there is no ambiguity to the changes where parties may interpret those changes to be replacing something already agreed to – thus “all other terms and conditions remain the same” – is important. Lastly, “time is of the essence” is an important statement at contract law – meaning that if parties do not meet the time boundaries placed on them, the contract can be null and void. Once again, when changes are made to an accepted offer, restating that ‘time remains of the essence” supports the enforceability of the contract should it ever be challenged and places the same fundamental contract requirements on the parties for these additional agreements on the amendment. Addendum (ADD) is adding pages for more room to write in the contract. 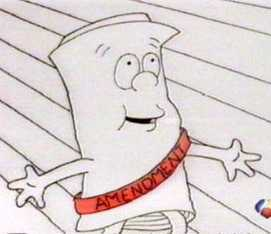 Amendment (to Amend) is changing an already agreed contract. You can most certainly use an addendum rather than an amendment form after acceptance but your REALTOR® MUST remember to include the pre-printed statements in order to ensure the enforceability and integrity of the contract for all parties in the contract. This certainly shows you how important it is to have a well educated and prepared REALTOR® on your side when buying or selling a home. A new way to be buried! Each office is independently owned and operated. Picture Window theme. Powered by Blogger.